'Are you happy in your life?' Those are the last words Jason Dessen hears before the masked abductor knocks him unconscious. Before he wakes to find himself strapped to a gurney, surrounded by strangers in hazmat suits. Before the man he's never met smiles down at him and says, 'Welcome back, my friend.' In this world he's woken up to, Jason's life is not the one he knows. His wife is not his wife. His son was never born. And Jason is not an ordinary college physics professor but a celebrated genius who has achieved something remarkable. Something impossible. 10hrs flew by! Loved this book! Jeff Winston's life is not how he imagined it would be. An unhappy marriage and unrewarding job - and then he died. Aged 43. And woke up again, back in his college room, in 1963, age 18. With all his memories intact. If he applies those memories, he can be rich - he can have anything he wants - in this new chance at life. Until he dies at 43 and wakes up in his 18-year-old body again...and again in a continuous 25-year cycle, each time starting from scratch at the age of 18 to reclaim lost loves, make a fortune or remedy past mistakes. Precisely what I look for in a story! King's brand new fiction title: a captivating collection of tales with dark - and light - twists from the master of this wonderful form. What would you do if your everyday world were turned upside down in an instant? Here are 12 riveting stories about relationships with unexpected twists. Be very careful what you wish for. The year is 2033. The world has been reduced to rubble. Humanity is nearly extinct and the half-destroyed cities have become uninhabitable through radiation. Beyond their boundaries, they say, lie endless burned-out deserts and the remains of splintered forests. Survivors still remember the past greatness of humankind, but the last remains of civilisation have already become a distant memory. Man has handed over stewardship of the earth to new life-forms. Not 'FOLD' or '14' but still worth waiting for. Welcome to Wayward Pines, population 461. Nestled amid picture-perfect mountains, the idyllic town is a modern-day Eden - except for the electrified fence and razor wire, snipers scoping everything 24/7, and the relentless surveillance tracking each word and gesture. None of the residents know how they got here. They are told where to work, how to live, and who to marry. Some believe they are dead. Others think they're trapped in an unfathomable experiment. Everyone secretly dreams of leaving, but those who dare face a terrifying surprise. Ethan Burke has seen the world beyond. He's sheriff and one of the few who knows the truth: Wayward Pines isn't just a town. And what lies on the other side of the fence is a nightmare beyond anyone's imagining. ©2013 Blake Crouch (P)2013 Brilliance Audio, all rights reserved. Absolutely loved this book. 1st book got me hooked so I had to get the second and 3rd. This story had me wondering what was going on. i just had to find out. Now i need to find out about the conclusion in the next story. Better than the first book. Starting to deviate from the show, and is more twisted which is a good thing. Also contains one of the most horrific ideas of a year long torture... thankfully only imagined. Looking forward to the final book. This was an interesting and different story line - Wayward Pines is a town where things really aren't as they first appear. I didn't know it was part of a series (part 2 of 3) but that didn't spoil my enjoyment as it stands alone quite well. I would recommend this book but at this stage I have no desire to read the others in the series. I was ho-hum about the first book so I don't quite know why I ordered the second book, but I'm glad I did. The characters were much more developed and there was a great deal more dramatic tension in the second book. As others have noted, it's hard to say much more than that without getting into the plot, but I'll just say, if you find yourself rolling your eyes in the first book, hang in there to Book Two. What did you love best about Wayward? The story is amazing, and really makes you think; "What would I do with this information?" What other book might you compare Wayward to and why? Have you listened to any of Paul Michael Garcia’s other performances before? How does this one compare? Listen to him narrate "Pines' the first book in this trilogy. I'm glad they are sticking with him, great job. Um, nothing other than, this series is AWESOME. This is part II of a 3-part series about Wayward Pines, an odd-little town in Idaho which is either Heaven or Hell. Both part I ("Pines") and this one are creepy, tension-filled mysteries. I HIGHLY recommend both, but I recommend that you WAIT to buy either one. Because author Crouch's part III has not been released yet, and may not be available until spring 2014. !!!!!!!!!!!!!!!! You will want to read all three, very quickly and in order, because you will want to know what happens next. This series is a real nail-biter. If you haven't read book 1, don't read my review!! 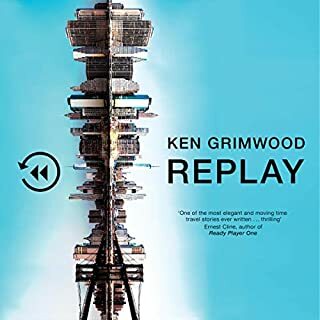 Recall Book 1: "The town of Wayward Pines, Idaho, is the last trace of human civilization on earth, built by billionaire David Pilcher to preserve the human race. 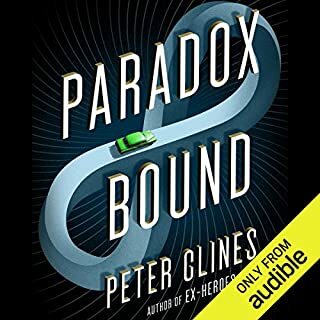 Having discovered that Wayward Pines is a town inhabited by people suspended in animation for 1,800 years, Ethan Burke attempts to escape, survives, and is made sheriff by Pilcher – a job which Ethan reluctantly does to ensure the safety of his family." David Pilcher's daughter is discovered dead and it is Ethan's job to determine "whodunit". Pilcher blames a secret society of townspeople. I found this book to be a surprising interlude in the story of Wayward Pines, it wasn't how I expected things to go. I enjoyed it! 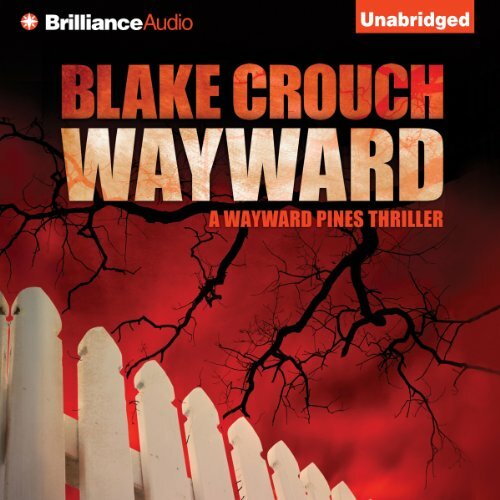 Okay I listen to books with a somewhat hindered attention span and I found both of Blake Crouch's book easy to follow, this being said any book that I don't have to rewind five thousand times gets at least a three. I really enjoyed this two part saga however I found the characters rather one dimensional and lack luster hence the three on story line. The author did a good job of catching my attention I don't feel that he added any insight into life although I don't feel that was his intent. He writes a decent thriller. Nothing he did a great job enhancing the overall experience of the book a good narrator and can make a book or break it. This guy made it in my opinion. 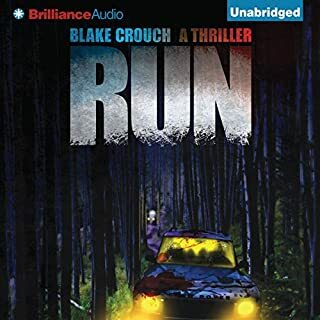 I think just about anybody would find this book fairly entertaining Blake Crouch is a mix of Harlan Coben mixed with James Patterson not to bad. I would have gone another 5 stars, but the absent ending and the lose ends everywhere, kinda got my hackles up. The first novel seems to have an end, so if you would not like to continue, it's ended for that episode. This book just stops at a point, that really needs to proceed. A new character, that could be a real problem is brought in, and what happens to an old character is left a mystery. That being said, I did enjoy the book. The first part seemed slow, with catch up from "Pines", but did pick up with plenty of background on the making of the town being filled in. 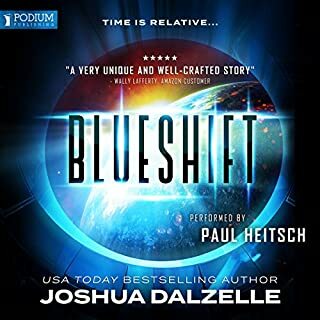 Ethan figures things out, and believes he has a solution for the townspeople who just exist, in this planned life. His plan is a dangerous one and could put everyone in jeopardy. It's suspenseful and nerve wracking...the makings for a good thriller. 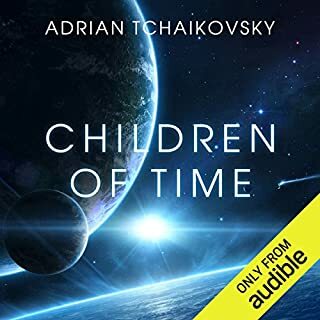 Maybe, wait for book 3 before listening to this, if cliffhangers drive you crazy. I'm not as impressed with this sequel to "Pines" as I was hoping for. 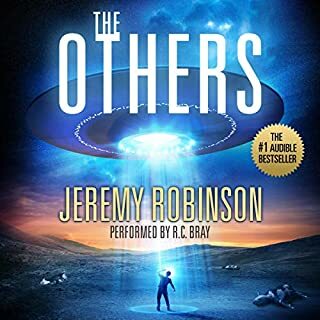 I kept waiting for something to happen that would bring me back to the suspense of the first book, however, the first half is taken up with getting the reader acquainted with the characters and attempting a re-cap of what happened before. The second half didn't live up to my expectations either, but there was a bit more action. 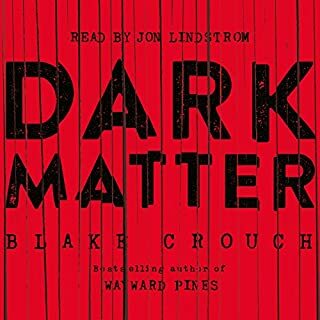 **Listen to "Pines" first --there is too much information you miss in the 2nd book. Very difficult to write an adequate review for this book without spoilers. The Secret Service Agent, Ethan Burke, has been made the new sheriff in town. He still doesn't agree with the town folk being watched 24/7 as there are hidden cameras and video links in all homes, streets and businesses. Also, everyone must have a chip implanted so they can be monitored at all times. 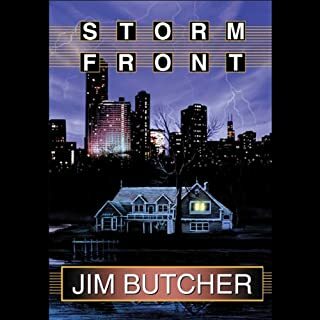 However, he has been given a look at what is outside the electrified fence that surrounds the town--and knows it to be far worse than what anyone expects. Of course some of the people don't believe there is any danger, and they are never really told the truth-- so they escape--but they never return. For those who try to escape, but don't succeed, their fate is just as gruesome. 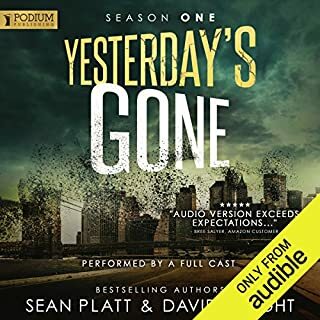 I didn't know this was going to be a trilogy when I listened to "Pines," and now that I have started, I probably will have to listen to book 3 as we are left with a BIG cliffhanger in book 2. Seems everybody has to do a trilogy these days, and it isn't always successful. The trilogy "The Strain" is a good example of the first book being great, and it went downhill from there. I'm going to hold out for a better conclusion with "Wayward Pines." A big plus is the narrator--he does a great job. **Note**I understand this is being made into a tv series for 2014, which I could see as being pretty good IF it is well done. However, I usually don't find that to be the case in "made for tv" mini series. What was one of the most memorable moments of Wayward? The ending . . . what a cliff-hanger, quite chilling in its possibilities . . . is there another book? Yes, and lost sleep over it. Read Pines first, the two books are really one. Worth the credits, though. 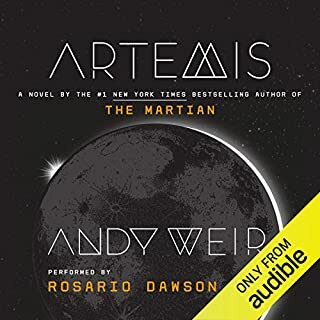 I'm glad I listened to the audiobook rather than read the print version. I so badly wanted to know how things work out that I am sure I would have flipped to the ending and scanned backwards (I know, no self-discipline). This way I enjoyed both the journey and the arrival at destination. In the first book, my review was positive, but it didn’t start out that way. 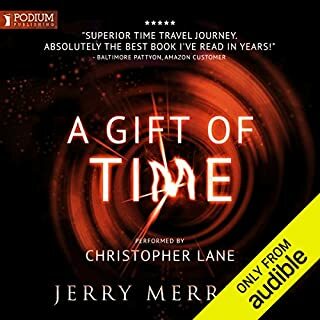 I listened longer and my opinion of the first book improved immensely. With that in mind I purchase the second book, hoping with all the positive reviews that it only gets better. But again I’m 2 hours into the book and wondering should I finish. After finally finishing this book I'm irritated, it's just like what all the other reviewers are saying, there is no ending. It just stops right at the climax of the story. I don't mind trilogies but you need to at least finish a part of the story to end a book. I also feel that the characters are not overly developed and I know I would have been one of the towns folk that was immediately terminated, because I wouldn’t stand to be a stepford wife. I don't like the way the relationship is heading with Teresa/Ethan/Adam thing. I'm not sure I will purchase the next book. So my suggestion is buy this if it is on sale but only if you liked the first book really well. Pines reminded many, including myself, of The Twilight Zone. This reminded me a lot of The Prisoner. For you younger readers, the Prisoner was a great sixties series, involving a similar town as Wayward and lots of paranoia. I thought this was almost as good as book 1 and certainly better then the middle book in most trilogies. You learn more in this book about what it is like to live in a paranoid society, such as North Korea. This book has it's own separate mystery from book one and there was not a boring chapter, paragraph or sentence. There has been a lot of talk about the ending to this book. Yes, it does end with a dilemma, but it is a new problem. It is not a problem at anytime earlier in the book, it is a new situation. This is a stand alone book, except I would suggest reading Pines first, only cause it is so good. I will be getting book 3 and reading more Crouch. I thought this would go stale.I was wrong. 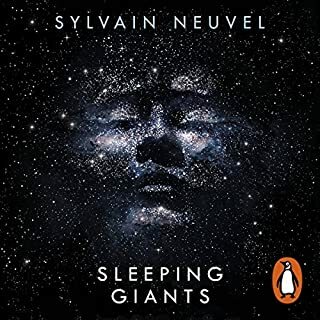 I didn't really know where this would go after the thrilling twist at the end of the first instalment, so I took a chance in this and I am really glad I did. The characters and plot line are really believable. 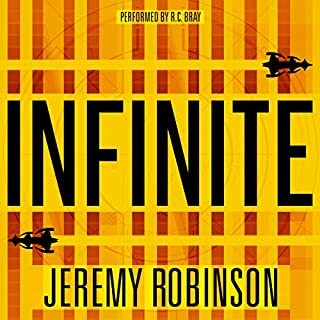 I don't usually like Sci-Fi novels, but the way the author has blended this with a crime fiction genre is inspired. I struggled a bit with this book. The first one in the series(Pines) was compelling and a really great listen. This one was less so. Deeper and much more sinister than the first book. Very much like 1984, but in Wayward Pines, two plus two doesn't equal four; but something far worse. Definitely worth a listen! Wayward picks up shortly after the events of Pines, with Burke settling in to his new role in the town and coming to terms with life there. 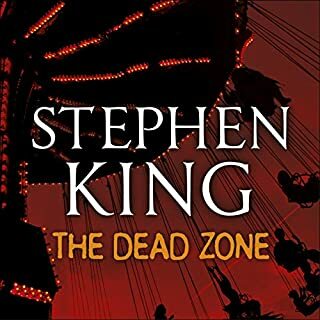 When a member of the town turns up dead, he is tasked with finding the killer within 'paradise', and as Ethan's investigation unfolds he uncovers a shocking truth which has repercussions for the whole town. 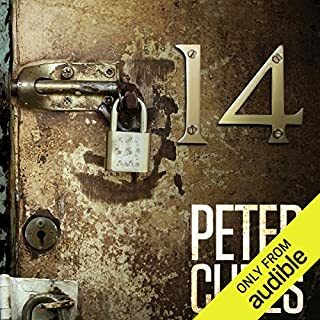 Crouch is again excellent in his narrative, a taut thriller which is more of a slow burner this time through, but the pay off in the climax is brilliant, and leads in to the final part in the most thrilling fashion. 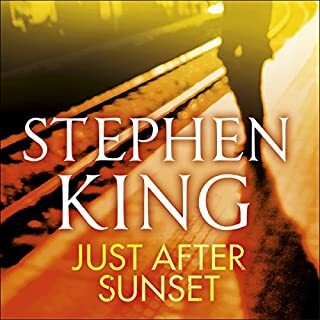 Again the performance is top notch, and if you've made it this far, you'll no doubt be desperate to see how this tale of the perfect town comes to an end. Great read. Can't wait to read the final book. Lots of suspense and unexpected twists and turns. Very imaginative storyline! Love the concept of Wayward Pines. Really good book. Nice continuation of the trilogy and griping from start to finish. Brilliant. 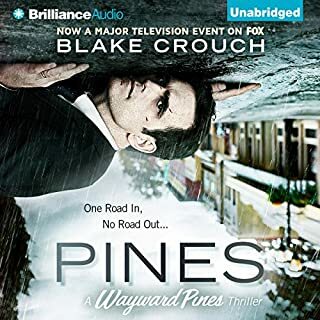 The story continues in this second book of Wayward Pines and even though I don't think it's as good as the first one it still kept my interest throughout. That ending has me rushing to find out what happens next in The Last Town.